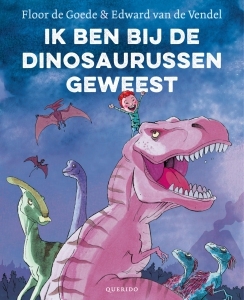 This is cool and meget fint: the Danish publishing house Turbine Forlag bought the rights for the Danish translation of IK BEN BIJ DE DINOSAURUSSEN GEWEEST (I WAS WITH THE DINOSAURS), the picture book that Floor de Goede made (and that I wrote the text for). The book will be in Danish shops in a few months. Originally this book was issued by Querido in Amsterdam, and rights can be negotiated here.